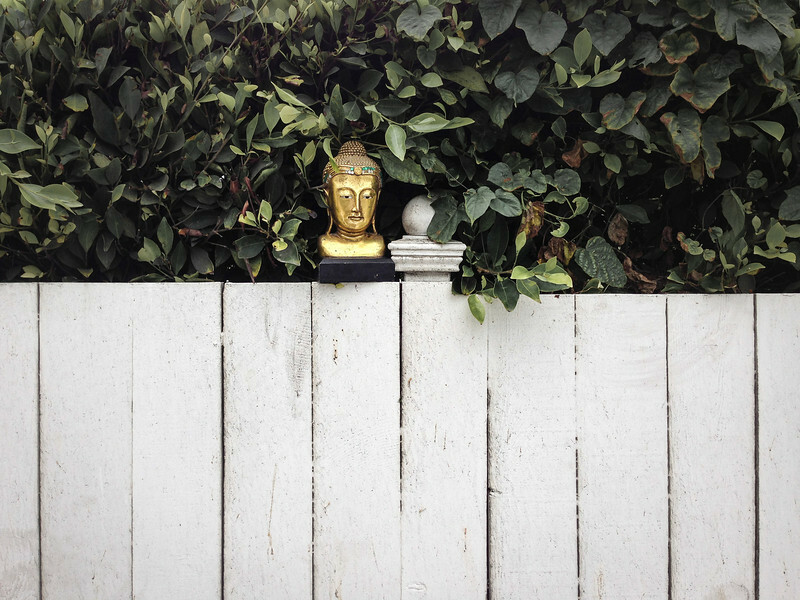 I happened to look up while walking past this fence and saw a Buddha head looking back at me. It's like that old TV show, "Tool Time" when the neighbour sticks his head over the fence and says, "Howdy Neighbour." A fun image, I'm glad you stopped for it.